The Greek coast guard boat races through the vast expanse of the Aegean, the water glinting in the morning sun. Behind, in silhouette, are the lush mountains of Lesbos island – Greece’s third largest, a place of extraordinary natural beauty – but now one of Europe’s key immigration frontiers. Since August 2012, when the Greek authorities increased controls on the land border with Turkey, the country’s islands have born the brunt of the inflow. And Lesbos holds first spot. This year alone, 4,409 migrants attempted to enter the island from mainland Turkey – just six miles away. Of those, 2,600 were arrested here, with the remainder detected in Turkish waters and sent back. Smugglers squeeze desperate people into overcrowded dinghies for a small fortune. Lt Antonios Sofiadelis from the Lesbos coast guard says they sometimes come across boats designed for 10 people, with 40 or 50 packed in. Since the Lampedusa tragedy earlier this month, when 366 people lost their lives trying to reach the southern Italian island, illegal immigration has shot back onto the agenda of Europe’s leaders. An EU summit last week promised only a “task force” to report back – but southern European countries have long argued that substantial steps are needed to tackle a growing humanitarian disaster. 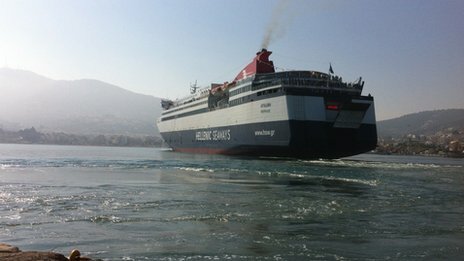 Until 2012, 90% of illegal immigrants entered Europe through Greece. The numbers have now dropped but the Greek government says it is still shouldering a huge burden in the midst of its worst financial crisis in living memory – and that the north must show solidarity. Until 2010, Lesbos had an immigrant detention centre in the town of Pagani. It was criticised by human rights groups for its appalling conditions and subsequently closed. 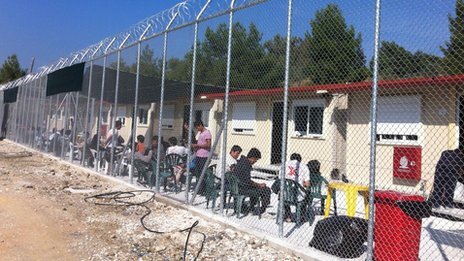 Now another facility has been built in the town of Moria – officially called a “reception centre”. Those arrested are taken here to be registered and held. 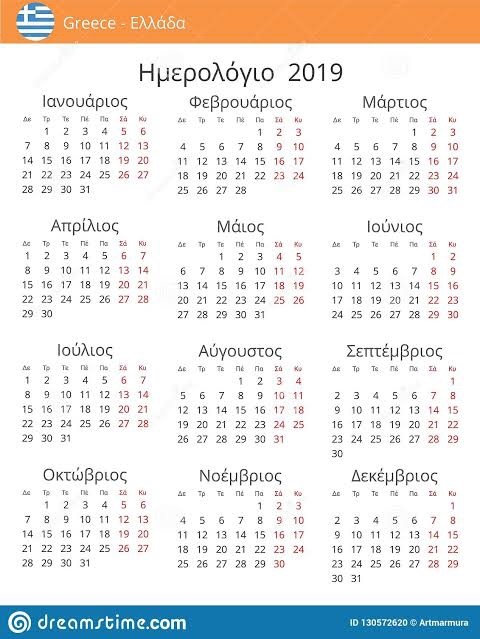 Non-Syrians stay for around 25 days before being given papers ordering them to leave Greece within a month. Syrians, due to their country’s civil war, are released more quickly and allowed six months in Greece. I tried to get into the camp to see the conditions and talk to inmates – but was refused access. Inside are offices of NGOs and the UN Refugee Agency, the UNHCR. Behind barbed wire are a dozen small containers housing about 70 refugees. They sit outside, their hands gripping the fence. When some try to engage me in conversation, the police ask me to move away. “This is a prison,” one Afghan tells me. “I feel desperate and ashamed when the immigrants talk to us about the problems they face in my country – and I feel very angry,” says Efi Latsoudi, the local co-ordinator of the group Doctors of the World. What needs to change, I ask her? “There must be a political decision that we have these arrivals here and we have to support them as humans, not as a problem or an illegal thing. Away from Moria, I am taken to another facility provided by locals and NGOs, housing an Afghan family, who arrived two months ago. The mother – who does not wish to be identified – and her four young children live in a tiny room. She breaks down as she tells me the story of her husband being arrested here and their treacherous journey from Jalalabad. “We’d hoped we could find safety and that our children could go to school,” she says. Perched on the mountain overlooking Lesbos, a corner of the cemetery is given to those who do not make it here. 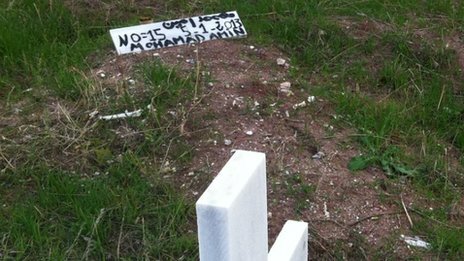 A few have been identified – the name “Mohamed Amin” is written on one stone. But most are simply given labels: “Afghan, 31/07/07”, “Number 3, 5/1/13”. They were people, individuals before they tried to come to Europe. Now they are reduced to numbers and codes. At noon, the daily ferry leaves for Piraeus, the port next to Athens, taking locals, tourists – and those migrants released with papers from Moria camp. I meet a few young Syrians there. They are educated, speak good English and dress well – far from the stereotypical image of refugees. “We paid 1,300 euros [£1,100; $1,800] each to the smugglers to take us here,” says one. 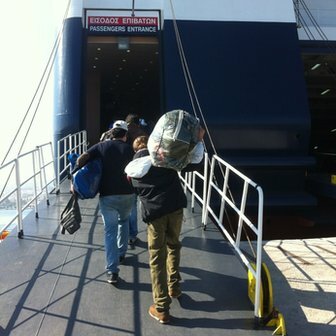 As the ferry doors close, they climb aboard, carrying one bag each – and their dreams. Perhaps the most perilous part of their journey – arriving in Europe – is behind them. But plenty more hardship awaits in Athens and beyond. And thousands more will follow in their wake. Previous Previous post: New Details On Kelly Clarkson’s Secret Wedding!